WHAT IS THE FOUR PERCENT AND WHO ARE THE FOUR-PERCENTER'S? IN THE WORLD WHERE “AVERAGE” SEEMS TO BE THE NORM AND MOST PEOPLE’S STANDARDS ARE THAT OF THE ORDINARY, WE BELIEVE THAT BY DOING CERTAIN THINGS IN A CERTAIN WAY, EVERYBODY CAN RAISE ABOVE AVERAGE AND BE GREAT. Have you heard of the Pareto’s 80/20 principle? 20% of the people are doing 80% of the work, getting 80% of the results, etc.. Right? That’s true, however, there’s the 80/20 rule within the top 20% and these top 4% is what it's all about. This is where true and long lasting success is found. These 4%-er's don’t tolerate average, they don’t make excuses, they don’t look for why something might not work - they MAKE things happen. They push themselves harder than the failing masses. They do things in a certain way that’s just different. They create their own economies and get results that are above and beyond typical. They are the movers and shakers of industries and they make economies go round. This is who I am – lifetime 4%-'er. The Four Percent was founded and built on one core belief and guiding principle: to inspire others to raise above the “typical”, the “average” and become great. To help ordinary become extraordinary, turn average into outstanding and struggling into thriving. Every one of us get to wake-up each day with a sense of purpose and excitement because we don’t just market and sell products and help our members earn great incomes (we do that well. In fact, we do that better than anybody else in the industry) - but we get to make a real difference in peoples lives. It is very important that every member of 4% shares and resonates with this vision. WE’RE NOT SELLING PRODUCTS, WE’RE BUILDING FUTURES. If the industry is a city and different neighborhoods represent different companies and homes in those neighborhoods represent individual businesses, we’re building the industry’s most incredible, most beautiful, most magnificent city skyline this industry has ever seen, and that is a feeling no amount of money can buy! The reason we exist is to help people like you raise above the common level and reach your true potential creating the life you’ve always dreamed of. Everything we do is centered on results and simplicity. We operate on one simple idea: how can we take anybody (even from the street) with perhaps no experience, no marketing skills but a burning desire to succeed and help them turn into an iconic success story in the shortest period of time possible. The ONLY way that would be possible is through what we’ve developed and perfected that we call “systematic path to success”. The simple reality is that systems work and people fail. Once accepted into the 4%, you will get access to our world-class complete marketing systems, platforms and “done-for-you” funnels that promote and sell different products *for* you systematically and get you paid, all while we deliver the most potent, highest level, most relevant coaching you’ll need to help you become a true entrepreneur where you can become independent and get the results you want at will, for the rest of your life! Yes, our system has been strategically designed to help you hit the ground running immediately and start generating real results while you scale and grow your business rapidly. And it WORKS amazingly well. Simply put, we help our members dominate any promotion of the product from the companies that we work with. 1. We identify great companies that sell great products that are in high demand in the marketplace in industries that are booming. 2. 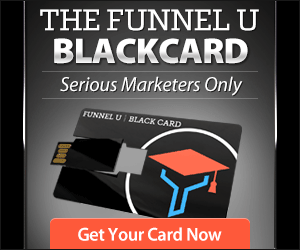 We create custom marketing systems and funnels around those companies promoting their different products. All of this, by the way, is exclusive to 4% members only. 3. 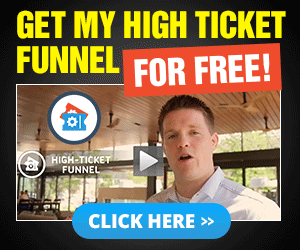 We show our members how to get the best quality traffic (visitors) already pre-interested and wanting to buy the product our systems promote and we simply DOMINATE any promotion we do. small local businesses and more. As result, our members are building their lists, getting new customers, sales and of course, earn great incomes as result of following our systems and coaching. The companies and products in our portfolio include a combination of small-ticket, mid-ticket and big-ticket sales allowing our members to build multiple streams of income that include CPA style commissions, monthly residual commissions all the way up to $16,000 for every sale. All these products complement each other and work as an eco-system. But the most important thing we do is help our people shift their paradigm from being “average” and “typical” to becoming powerful and unstoppable in all areas of their lives. (Yes, business and financial included). Look, I can’t promise or guaranteed you results. In fact, I believe that if anybody guarantees you any result, especially in business - they’re just flat out lying to you and telling you anything just to get a sale, but there’s one thing I CAN guarantee you here. As a member of the Four Percent you will have a real, legitimate, genuine shot at finally making it online and becoming a tremendous success story. Will you take that shot? Still here? Good. Look, we believe in total transparency and telling it like it is. (I hope you can appreciate that). The Four Percent membership ranges anywhere from $49/mo (new member limited time discount offer, which you might have a shot at grabbing on the next page) to $247/mo. (original membership fee). You also have an option to Yearly membership with savings at $441/Yr. and Pro-Lifetime offered on occasion of $497 one time. However, you’re building a real business here, so on top of that you’ll also need to invest in some very basic tools that will help you build and operate your business (if you don’t already have those) such as an autoresponder, custom funnel builder (we will help you set this up step-by- step) and a custom tracking system (we also help you set this up). Many of our member consider this to be very insignificant operational costs compared to the results they are getting, but I want to make sure that you knew this before you joined. If what you’ve read above resonates with you and you share our vision then I can tell you with confidence - you’ll be a perfect fit for our vision and you will probably find yourself being extremely happy and fulfilled here. If, however, what you read above doesn’t resonate with you then most likely we won’t be a good fit for each other, which is fine too. What’s really important for us is not to just “convert” somebody. We’re not looking for just anybody who wants to join us. We’re really looking for people who believe what we believe and are truly ready for a real change and who want to be part of something much, much bigger than themselves. This has turned into a movement with thousands of like-minded individuals (visionaries) and it’s very important for us that we attract the right kind of people. This is a team unlike any other in existence. • I PLEDGE TO DO WHATEVER IT TAKES TO RAISE ABOVE THE AVERAGE AND BECOME A TRUE 4%-ER IN BUSINESS AND MARKETING. • I WILL BE A TEAM PLAYER OTHERS CAN RELY ON. I WILL ENGAGE AND SHOW UP WITH PURPOSE. I WILL ATTEND EVERY WEBINAR, TRAINING, TEAM EVENT AND MEETING. I WILL INVEST TIME, MONEY, ENERGY, WHATEVER IS NEEDED TO BECOME AN ICONIC SUCCESS STORY THAT WILL INSPIRE OTHERS. • I RESONATE WITH THE VISION OF THE 4% 100% AND I PLEDGE TO DO WHATEVER IT TAKES TO HELP MOVE THIS VISION FORWARD, INSPIRING OTHERS TO RAISE ABOVE THE AVERAGE AND REACH THEIR TRUE POTENTIAL. • I WILL NOT SETTLE FOR JUST GETTING BY. I’M FIRED UP AND READY TO TAKE MY BUSINESS AND MY LIFE TO THE TOP 4%. YOU CAN COUNT ON ME TO BE ONE OF THE GREATS IN THE FOUR PERCENT! I’M READY TO BUILD MY OWN SKYSCRAPER NOW! • I WILL CONTRIBUTE TO AND BRING ONLY POSITIVE ENERGY, NO MATTER WHAT MAY BE GOING ON IN MY LIFE. • I WILL FOLLOW THE PROGRAM AND LEADERSHIP OF THE TEAM EXACTLY AS INSTRUCTED TO GET MAXIMUM RESULTS IN THE SHORTEST AMOUNT OF TIME POSSIBLE AND I COMMIT TO PAYING IT FORWARD, HELPING OTHERS DO WHAT I’VE DONE FOR MYSELF. • I PLEDGE AND I’M COMMITTED 100% TO BEING A TRUE FOUR-PERCENT-ER'S IN EVERY AREA OF MY LIFE! IF YOU AGREE AND PLEDGE TO ALL THE ABOVE WITHOUT ANY RESERVATIONS AND IN YOUR HEART YOU FEEL THIS IS THE RIGHT MOVE FOR YOU - WE CAN’T WAIT TO WELCOME YOU ABOARD, THIS WILL BE A PERFECT PLACE FOR YOU AND TOGETHER WE’RE GOING TO DOMINATE. Who Says Making a Sales Page Can't Be EASY? How To Earn Money Online This Week. 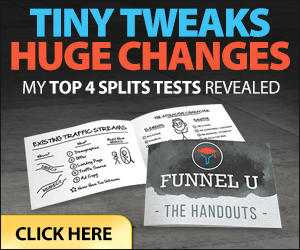 The #1 strategy that generates more sales and commissions faster than anything in existence. 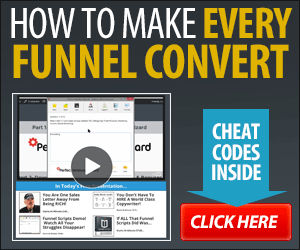 Latest / popular happenings: 4% - including "Operation 100K"
HOW TO EARN >>MONEY ONLINE THIS WEEK<< The #1 Strategy That Generates More Sales and Commissions Faster Than Anything Else In Existence. 1/2 Price Lifetime to Join, pay $1 (was $997) 4% - LIMITED Time, Join Today! than you put in, really that's priceless. A movement an idea, a worthy ideal. Always give value more than the cash value you receive. and running over, shall men give into your bosom. Review of "The 4% & it's Systems"
- What is 4% ? - What kind of system do the 4% 'ers use? - Does it deliver what it promises? - Is it a newbie friendly? 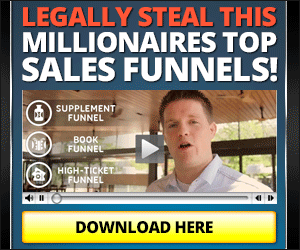 - Will You really make a significant income inside 4% system? For The first time ever, introducing a "Done For You"
What you get inside 4% ? needed - A true automation that just works! The moment is the revelation of 10,000 hours of journey put into a moment of truth and experience, knowing the Source - the infinite creator, applying the knowledge into wisdom that passes all understanding. Applying that wisdom is the greatest achievement to mankind. To be great in the kingdom of God is to be a servant and to serve and love people, showing compassion and mercy; the greatest example being Christ Jesus, who suffered and died a shameful death so that we may live and live more abundantly. The infinite source of abundance in the wast universe of finite space and time that the almighty all knowing, all seeing and all present, eternal God without beginning and without an end has made; to Him be Glory and Honour and Majesty and Dominion and Power - thru Jesus the Savior and Redeemer, to Whom and trough Whom and by Whom are all things that exist. The Only Living, True God, that gives us the very breath of life and has created us prefect in His own image, who have us this faculty of Spirit and mind, by faith to come to the realization of this very Truth. That's the worthy goal and quest I want to attain and wish for you! Today there are millions without father, mother, orphaned, homeless; by their parents choice or by their choice to leave the home and live on the streets of mostly big cities. By far more people of this world are Fatherless and Motherless by ignorance, and I'm referring to the spiritual side - more that 6 Billion people of the world today don't know of Mother, the church and Father in heaven, God, Spirit, the Divine, the creator. So what makes these people orphans is not knowing the truth; that God created the worlds that we know and the unknown and He created the living including the highest creation; the man (and woman) in His likeness. A spiritual being, being part of Him. Long story short, the Adam and Eve transgressed and were cast out of (garden of) Eden. God sent His Only Begotten Son Jesus, to redeem mankind back to God the Father. Most Jews (God's people) until now don't believe the Son, Jesus and the rest of us non Jews have the chance of being adapted into the family of God. Our Father is rich with houses and lands, He holds everything in His command; I'm a child of a King. Therefore, besides being thankful for clothing, shelter and food; I am grateful to be a child of God. You too have the choice to be rich, God as Father and church as Mother.